This article is about the singer. For his son and talk show host, see Morton Downey Jr. For the trader/author of Oil 101, see Morgan Downey. John Morton Downey (November 14, 1901 – October 25, 1985) was an American singer and entertainer popular in the United States of America in the first half of the 20th century, enjoying his greatest success in the late 1920s and early 1930s. Downey was nicknamed "The Irish Nightingale". John Morton Downey was born in Wallingford, Connecticut, the fourth of six children of James A. and Bessie (Cox) Downey, a well-known family in both Wallingford and Waterbury, Connecticut. The grandson of Irish immigrants, he was always known by his middle name since so many of his near relatives were also named John. His father was the chief of the Wallingford Fire Department until a near fatal automobile accident necessitated his retirement. Downey began his singing career as a member of the choir of Most Holy Trinity Church in Wallingford. Downey's signature sound was a very creamy and very high-timbred Irish tenor which an uninformed listener can easily mistake for a female voice. The popularity of such highly artificial and "heady" male pop vocals peaked in the late 1920s and early 1930s. By the mid-1930s the style was out of fashion, so Downey toned down some of his broader mannerisms and made a transition to a somewhat more "chesty" vocal timbre. For a time in the 1920s, Downey sang with Paul Whiteman's Orchestra. He first recorded in 1923 for Edison Records under the pseudonym Morton James; the following year he recorded for Victor with the S.S. Leviathan Orchestra. In 1925 he began four years of recording for Brunswick Records. In 1926 he had a hit in the show Palm Beach Nights. Downey toured London, Paris, Berlin, New York City and Hollywood. He also began appearing in motion pictures, including Syncopation (1929), the first film released by RKO Radio Pictures. Downey was also a songwriter whose most successful numbers include "All I Need is Someone Like You", "California Skies", "In the Valley of the Roses", "Now You're in My Arms", "Sweeten Up Your Smile", "That's How I Spell Ireland", "There's Nothing New", and "Wabash Moon". He joined ASCAP in 1949. The famous tenor vocalist Bill Kenny grew up idolizing Downey and it is believed that he was Kenny's biggest influence. The similarities in style can be heard in Kenny's earliest recordings with The Ink Spots. 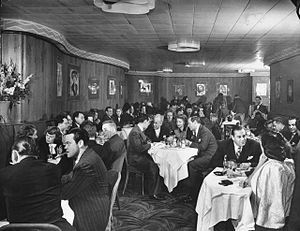 In 1930, Downey began making national radio broadcasts after opening his own nightclub (The Delmonico) in New York. He was voted America's "Radio Singer of the Year" in 1932. At the time, Downey was featured nightly on the Camel Quarter Hour radio broadcast. On February 5, 1945, his transcribed program, Songs by Morton Downey, moved from the NBC Blue Network to the Mutual Broadcasting System. The move came after Blue Network officials adopted a policy "against the use of transcriptions for network originated programs, except where technical difficulties void live broadcasts." As a result of the shift, the number of stations carrying the program more than doubled. In the 1930s he recorded for ARC, Hit of the Week, and Decca Records, and in the 1940s made records for Columbia. Starting in 1949, Morton Downey began appearing on television. From 1950 to 1951, he co-hosted the CBS Television show Star of the Family. Morton Downey was the father of television personality Morton Downey Jr. by his first wife, actress Barbara Bennett (1906–1958), the sister of actresses Constance and Joan Bennett, and with whom he ultimately had five children, four sons and a daughter: Michael, "Sean" (John Morton Downey Jr.), Lorelle, Anthony, and Kevin. Her early promise as a dancer and actress gave way to her turbulent marriage with Downey. The couple married in 1929 and divorced in 1941. She would marry singing cowboy actor Addison Randall shortly afterward. Downey's second wife was Peggy Boyce Schulze (1922–1964), the former wife of Prince Alexander zu Hohenlohe-Waldenburg-Schillingsfürst and the granddaughter of Colorado mining industrialist William Boyce Thompson. Downey owned a house in Hyannis, Massachusetts next to Joseph P. Kennedy's. This house was used by John F. Kennedy as his summer White House. Downey's third wife was Ann Trainer, the widow of Howell Van Gerbig and the former wife of John Kevin Barry; they married in 1970. Downey died following a stroke in 1985 in Palm Beach, Florida, aged 83, and was buried in the local Catholic cemetery in his hometown of Wallingford, Connecticut. ^ "Press: Scrapbookman". Time Magazine. February 8, 1932. Retrieved June 28, 2009. ^ a b "Morton Downey Show Moving to Mutual Web" (PDF). Radio Daily. January 3, 1945. pp. 1, 3. Archived from the original (PDF) on November 27, 2014. Retrieved 2 April 2015. Wikimedia Commons has media related to Morton Downey. This page was last edited on 30 January 2019, at 15:04 (UTC).